WILL I NEED MULTIPLE VISITS TO REPLACE MY DAMAGED TOOTH? If Cityview Dental Arts were any other practice, we would say “yes,” but thankfully, we aren’t just any other practice! With us, we can restore your chipped, cracked, or broken tooth with a completely custom-made dental crown or veneer in just one visit thanks to our high-tech E4D Planmeca system. With this technology, rather than relying on messy dental putty and an outside dental lab to make your restoration, we can handle everything in-house in about an hour! The whole process starts with Dr. Jerry Bock preparing your tooth to fit the restoration, and then he’ll use a high-resolution scanner to create a digital 3D image of it. Using this image, he’ll design your crown so that it seamlessly fits into your mouth and matches your natural tooth color. This design will then be sent to another machine that will precisely carve it out of a solid block of dental porcelain. 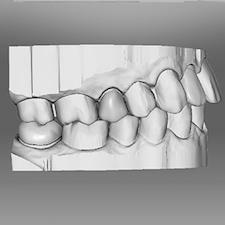 After a few minor adjustments, Dr. Bock will bond the crown to your tooth and you are good to go! It’s just that simple! If you’re looking to get your tooth fixed as quickly as possible, be sure to ask us about E4D One-Visit Restorations. Call today for an appointment.